Police are frantically searching for a dangerous man they accidentally released from custody this week. 31-year-old Shane Sleeper was freed from Cook County Jail in Chicago despite facing multiple felony charges, including state terrorism, hate crime and felony harassment. 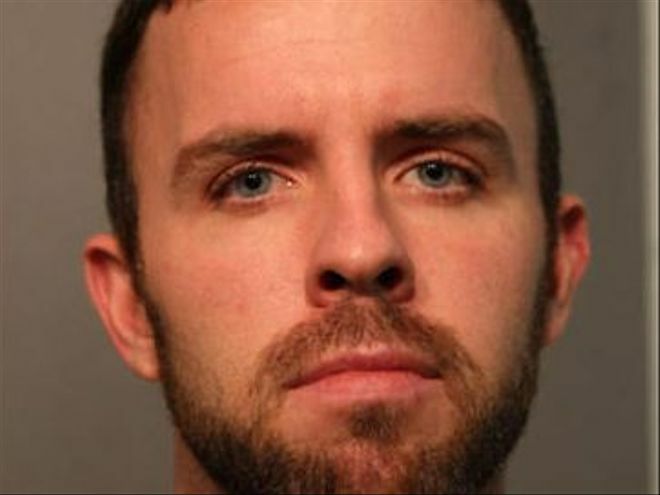 Sleeper has, er, had been in custody since February after allegedly threatening to shoot up a gay bar, saying “Orlando will come to Chicago,” then obstructing and resisting a peace officer, and fleeing from police. Sleeper was originally charged with misdemeanors. The state’s attorney’s office upgraded them to felonies but purportedly forgot to notify the sheriff’s office, resulting in him being released on accident. Now he’s missing. And police have no idea where he went. Naturally, the sheriff’s office is pointing fingers at the DA for the mixup. Meanwhile, the DA’s office is pointing its fingers back at the sheriff’s office. Sleeper’s last known address was on Chicago’s North Side. Let’s see here. One part mentally ill and another part deeply closeted. I have zero doubt that he’s gay. I’ll bet you’ll find some religion in there too. Why do you think he’s gay Vince? First, no straight guy is that obsessed with gay men. Secondly, he used to work at a gay bar until he was kicked out. Ohh I didn’t know that – I wonder if his threat is just fluff then? ^…..yes, Vince, it smacks of being classic closet case. Sad. He has beautiful eyes, but otherwise what a mess…hope they find him soon. I hope they catch him, and pronto! Guys like you, making statements like you, are f*cked up. How can anyone in the gay community be concerned about this, on one hand, and march in the street holding up signs saying ‘no Islamophobia’ (supporting importing Islamic fundamentalist younger men who want us all dead), on the other hand? Bit of a hypocrisy perhaps? Granted, it’s pure stupidity that this guy got released, but we cannot shake our fingers in disgust at one danger, and invite in another. I don’t think there is any doubt that he is gay, he was working in a gay bar in Atlanta and had a problem with the owner harassing him (or so he claimed). He retaliated violently. Being gay and mentally ill aren’t mutually exclusive. If the police are this interested in his threats then he most probably is dangerous.